Last weekend was the 3rd and last session of fold forming with Pat. 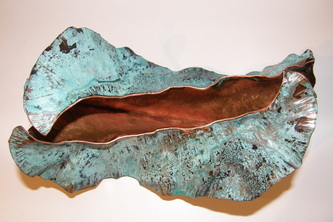 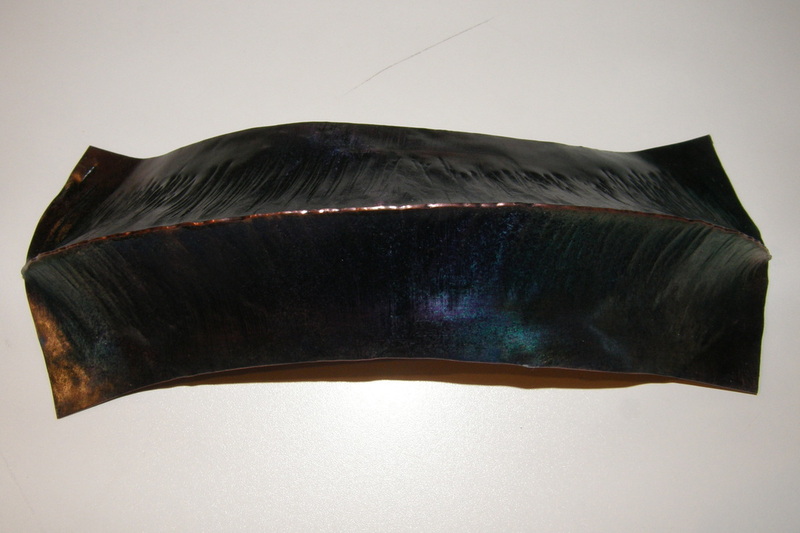 Actually this last session was not really fold forming at all but was about Patina and we used our fold formed pieces or other scrap to apply the patina too. 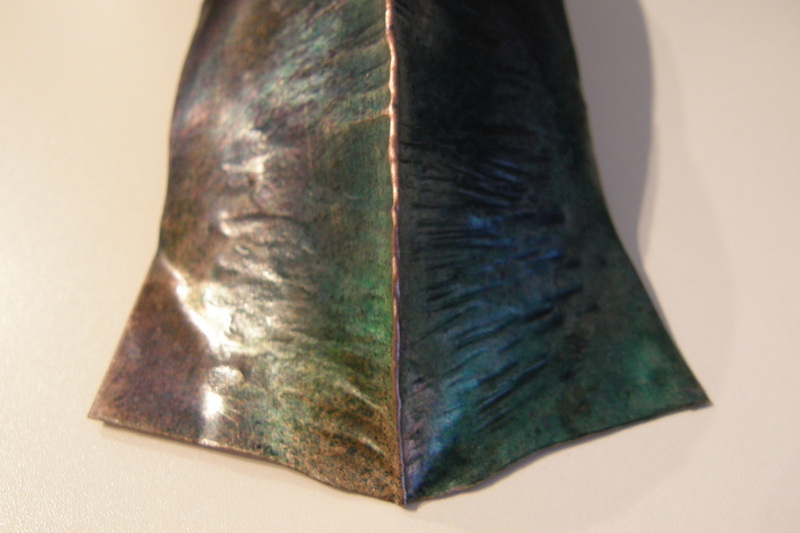 During the first hour or two of the class Pat explained natural patina's as well as commercial products that could be used to apply a patina to metal work in lieu of waiting week, months, or years for a natural patina to develop. 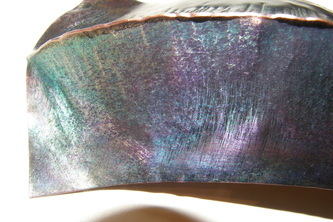 Pat also showed examples of using secondary materials to affect the patina so a pattern - even if random, would develop. Here are some pictures of my completed pieces. 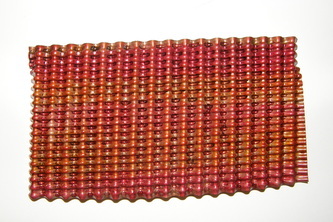 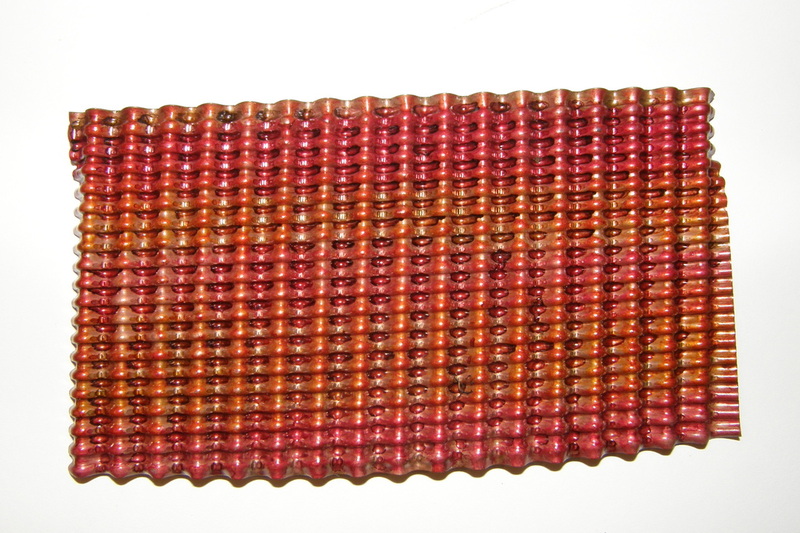 It was created using several different dyes. 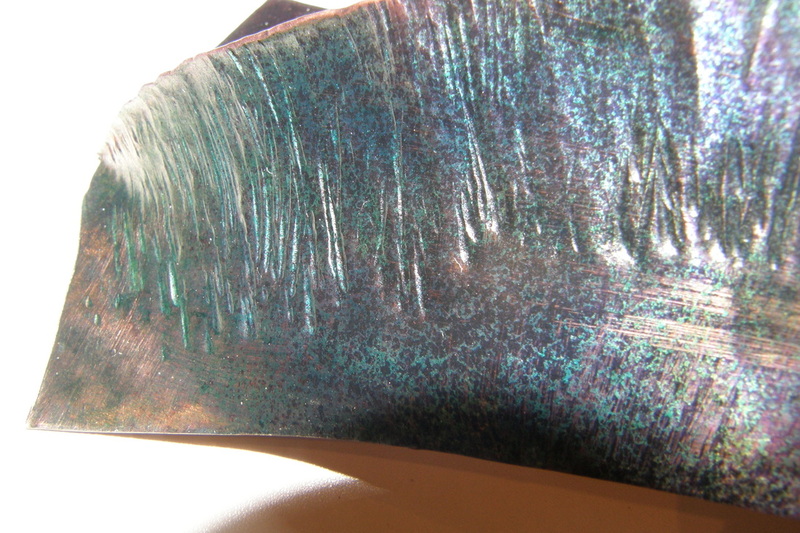 What did you use fir the irredescent turquoise? Next post: No Heavy Metal Work….